This was a fun project I had almost forgotten about. My producer friend Ben Ryan was doing this project for Melerick and I volunteered to be an actor in it. Always fun to do something different. 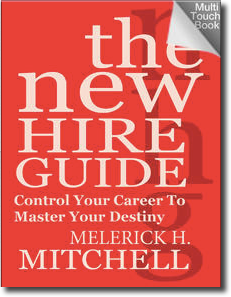 The book is now out: The New Hire Guide: Control Your Career to Master Your Destiny. I respect authors like Melerick Mitchell here who are pushing the bounds of typical book distribution and embracing rich media like this.